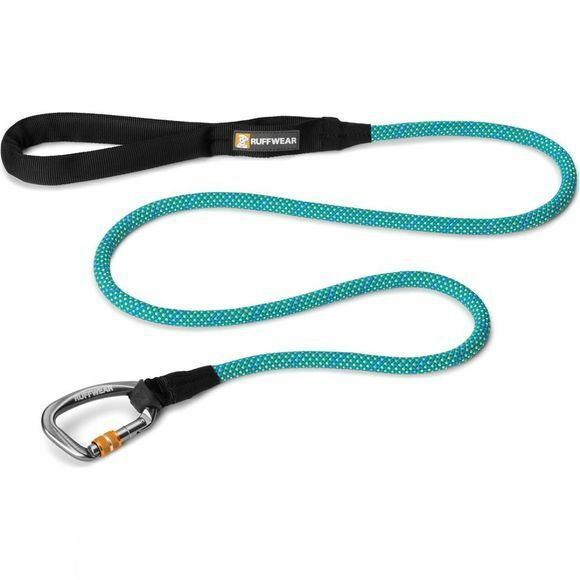 The Dog Knot-a-Leash is a rugged, climbing-inspired leash. Ruffwear's classic design uses strong, supple kernmantle rope, a secure locking carabiner and an easy-to-hold tubular webbing handle. It also has a convenient accessory loop for pickup bags or small clip-on items.